Independent rental owners and apartment community managers in Texas face a wide range of legal challenges. And problem tenants are often the source of these challenges. Girling Law provides both responsive and preventative legal representation to Texas property investors and managers. Legally and quickly remove a non-paying tenant and start generating rental income again. Call now. Shield your income property from advantage-seeking tenants. Call now. We offer a full range of title services for landlords and property owners. Need help? Call now. Ensure your prospective tenant has a solid payment history and is someone you’d want as a renter. Call now. Marc Girling is an expert Dallas – Fort Worth eviction attorney and landlord lawyer. He started his eviction practice after having his own unfortunate experience with a problem tenant. Presently, Mr. Girling’s firm includes two attorneys, two paralegals, and an Escrow Officer. 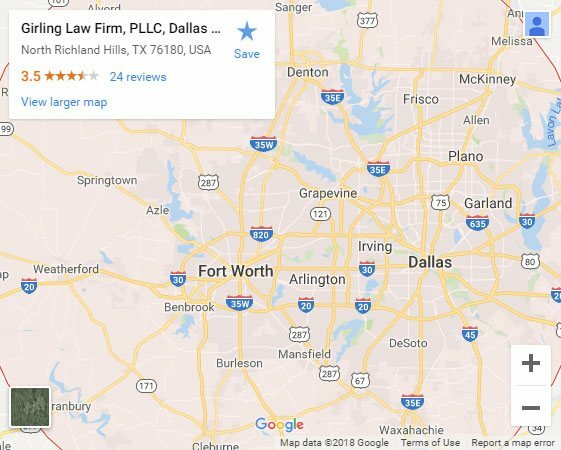 In addition, Mr. Girling regularly hires five other real estate attorneys in Fort Worth who handle legal work for the firm on a contractual basis. Mr. Girling personally trained each of these lawyers. Mr. Girling has authored several books, including Eviction Dismissed! The Ten Biggest Mistakes Texas Landlords Make in Eviction Court. Presently, he is preparing a curriculum to train apartment community managers on appearing in Justice of the Peace Courts. Girling Law, PLLC is a boutique landlord law firm. We offer a full range of legal representation to independent rental owners and apartment communities. Our Fort Worth real estate attorneys routinely practice in all of the Justice of the Peace Courts in Tarrant, Dallas, Collin, and Denton Counties. In addition, our real estate attorneys regularly appear in the County Courts at Law in Fort Worth, Dallas, McKinney, and Denton. Girling Law is a member of the Tarrant County Apartment Association. Girling Law’s flagship legal service is eviction representation before Justice of the Peace Courts, County Courts at Law, and Texas Courts of Appeals. Our eviction service is comprehensive. We will ensure that your notice to vacate is not just properly delivered, but delivered in a manner that nearly eliminates the risk associated with tenants lying about successful delivery. We conduct background checks and asset searches on each tenant we evict. 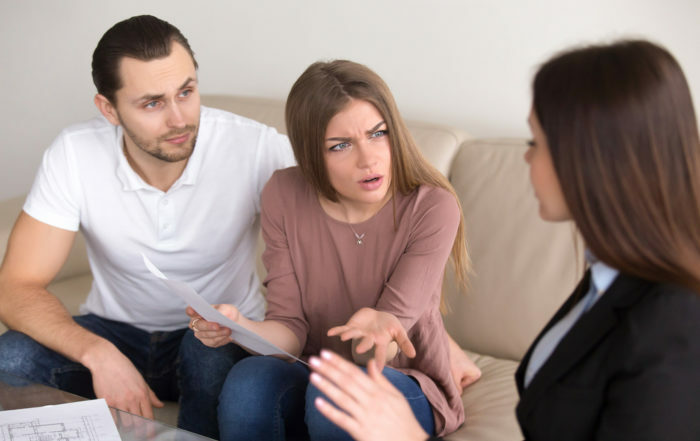 Our firm will make several attempts to negotiate a settlement with tenants, thereby reducing our landlord-clients’ legal fees and losses arising from a tenant’s unlawful occupation of the subject property. When necessary, our firm will, of course, send in a Dallas – Fort Worth eviction attorney to attend trial. Girling Law’s eviction representation services include coordinating a writ of possession. Should your tenant appeal, Girling Law will be prepared to attack any method of appeal your tenant might use. Finally, Girling Law will file the motions necessary to have the Court return any bond money or rent payments in the Court’s possession. If you live in North Texas, you may have already heard of the Schwabs. 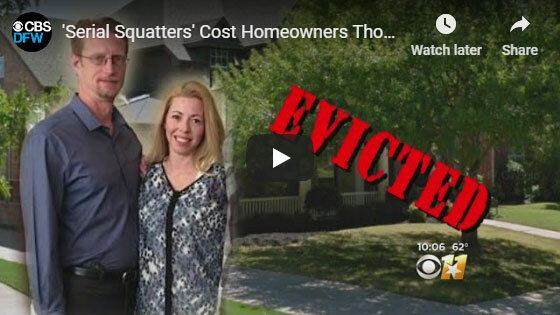 Heather and William Eric Schwab are currently facing numerous counts of “serial squatting” for playing homeowners to live in their homes without ever paying a dime. As a result of their scheme, victims of have sought legal advice from Girling Law to help ensure the rights to their property and to avoid mistakes like this in the future. QUESTIONS ABOUT Real Estate? JUST ASK US! We had a problem with a tenant that after giving the deposit and paying for the first month; he immediately got behind paying rent of the second month and was not complying with contract agreements for paying late fees, etc. At the beggining the problem seemed manageable, for what we did the minimal (send 3 day notice letter, call references, etc.) After being unsuccessful collecting the payment, we decided to take legal action and avoid further delays. How fortunate we were to find Mr. Marc Girling; even after following the regular legal procedures and winning the eviction case the tenant neglected court rulings and decided to stay without pay on the property. Marc helped us to quickly apply for the Grit of possession where we were finally able to take control back of the property (with minimal delay and physical damages or conflicts) during the eviction process Marc never hesitated to run the extra mile and he kept us very well informed of the case progression. I will definitely recommend and use Marc to help us with any legal real estate issues, he is knowledgeable, trustworthy and supportive. I was in a situation were I had to extract a non compliant tenant within my dwelling, I was at a crossroads as to how to evict this individual, I searched the Internet and found the Girling law offices, they were able to give me the guidance I needed, they handled my case with professionalism and courtesy, thanks Girling Law offices. I bought a foreclosed property from a county auction. As soon as I found out the people that are living there will do anything to hold down to this property, I made a smart decision of calling Girling Law Firm. Mr. Girling was very patient and worked really hard to get me my property back from the free loaders. I really appreciate Mr. Girling's efforts and his knowledge. I'm a first time investment property owner. Unfortunately I didn't get off to the best start. My first tenant's deposit and first months rent check bounced after they had already moved into the property. They were in the property without paying for months it was a very trying time. After one failed eviction attempt and several hundreds of dollars later I finally decided to hire an attorney. I made the smart decision to stop trying to do it all myself and hire an attorney to handle my eviction case. I was fortunate enough to find Girling law. Mr. Girling and his team immediately turned things around. They were knowledgeable and attentive it turned out to be the best decision I could have made. They handled all correspondence with the tenant from the moment I first spoke with them until the tenant was out of my property successfully. They took all the stress of the situation away and quickly got my tenants out. It made a world of difference to me especially since I am an out of state owner. They appeared in court multiple times without me having to be present all for a flat fee that didn't break the bank. Mr. Girling even recommended a great property manager to handle the property to make sure this problem didn't repeat again. I'm happy to say that I now have great paying tenants. The nightmare is over very much thanks to Girling law. 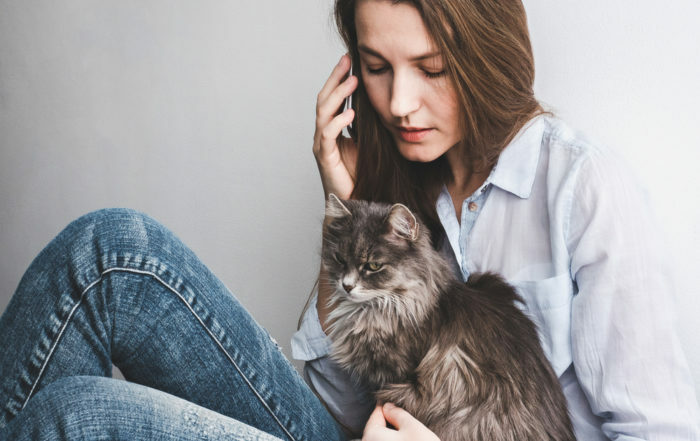 If you ever run into a problem with your tenants I highly recommend calling Girling law immediately - don't wait! Mr Girling did a super job on my eviction of a non paying tenant, even when they appealed, Mr Girling attacked the appeal, and got it thrown out and got the tenants REMOVED quickly! Mr Girling and his staff were amazing! Thanks To Girling Law! In Texas, a landlord can start the process to evict a tenant for not paying rent the very day after rent is due. 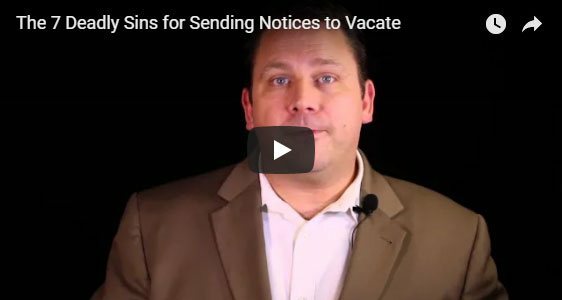 But to evict, a proper Notice to Vacate must be sent. As a Landlord, Girling law has the experience you need on your side to ensure the property is back in your possession ready to make money for you. Call us before mistakes are made that will keep a non-paying tenant in the property longer than necessary! Courts do not always see the Landlord as the party suffering the harm in a situation where a renter is not paying rent. Girling Law sees it from your side as Landlord, that you have a mortgage to pay, bills to pay, and we fight to ensure the property is back in your hands as soon as the law allows. Girling Law can help you identify problems tenants with its background checks. Click here for more information! Litigation is not always the best solution! Girling Law has years of experience in negotiating with tenants who are in difficult situations. We always work to ensure that the cheapest alternatives are available to you by identifying creative solutions to get the property profitable again. But if litigation does become the answer, Girling Law will fight tooth and nail to protect your rights as Landlord!